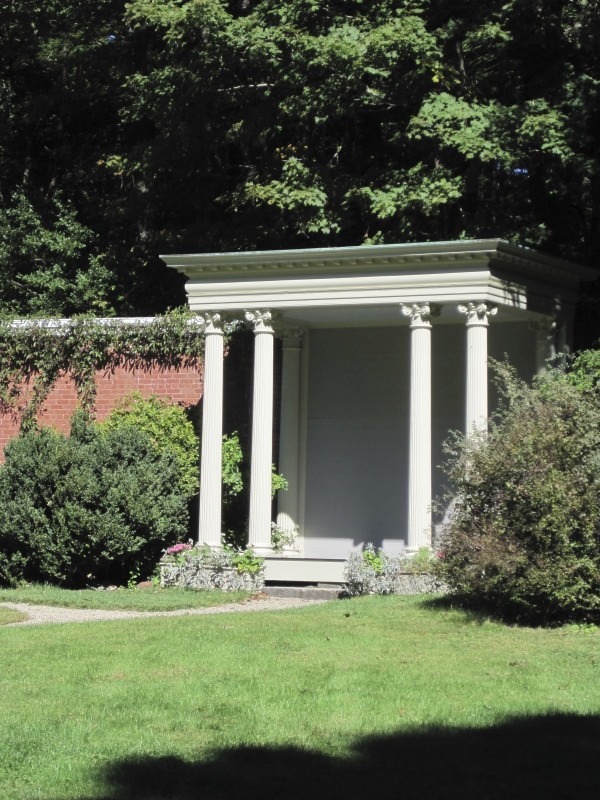 On the subject of summer picnics… We recently took advantage of a sunny Sunday afternoon to view two of the historic houses in nearby Waltham, Massachusetts: Stonehurst (completed in 1886) and the Lyman Estate (built in 1793). 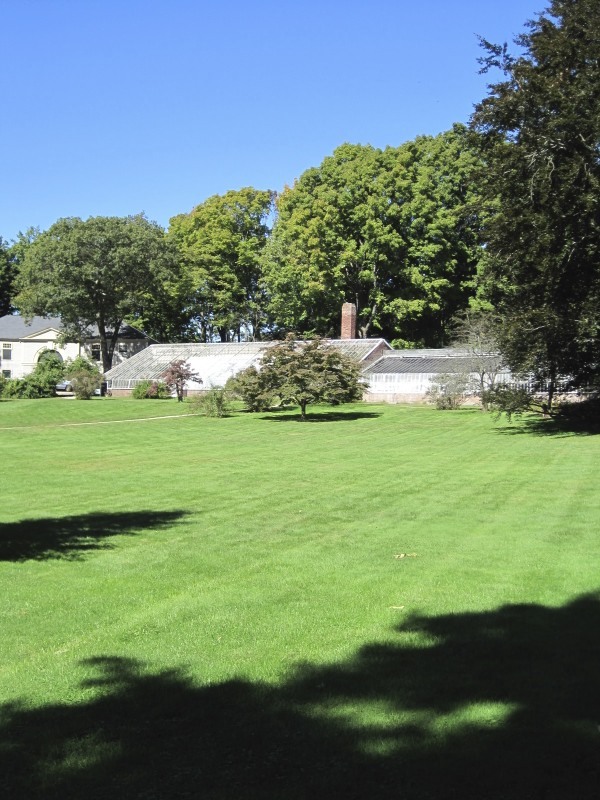 We ended the afternoon with a relaxing picnic on the lawn of the Lyman Estate. Pictures often say more than words, so without further delay… pictures! 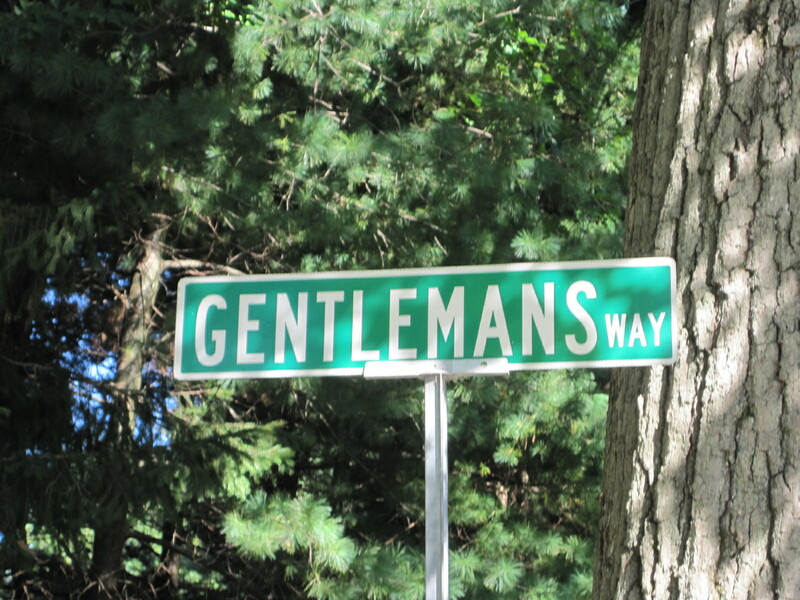 On the walk up the drive to Stonehurst, I passed this street sign, which was just begging to be photographed! 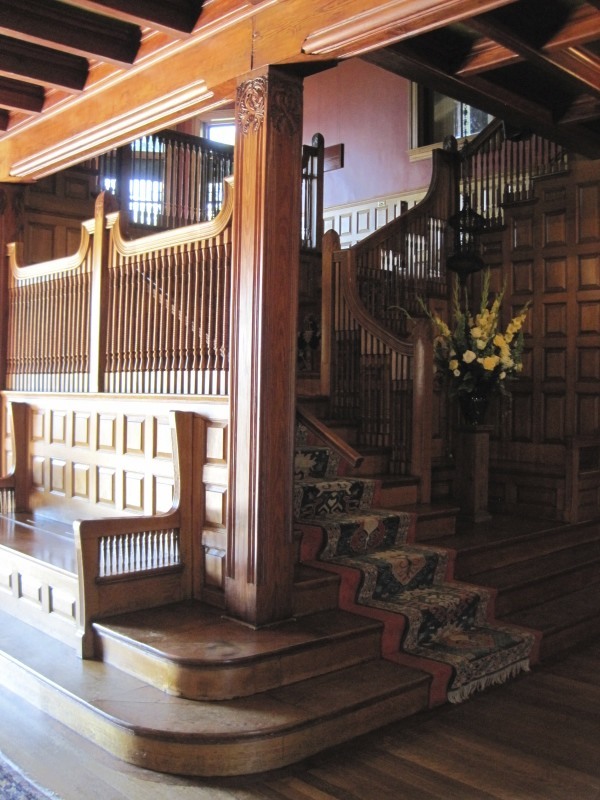 The main stair in the front hall of Stonehurst. Also in the front hall. Stonehurst has all these cute little nooks and benches. This one was my favorite! Then on to the Lyman Estate, which has a very different feel. 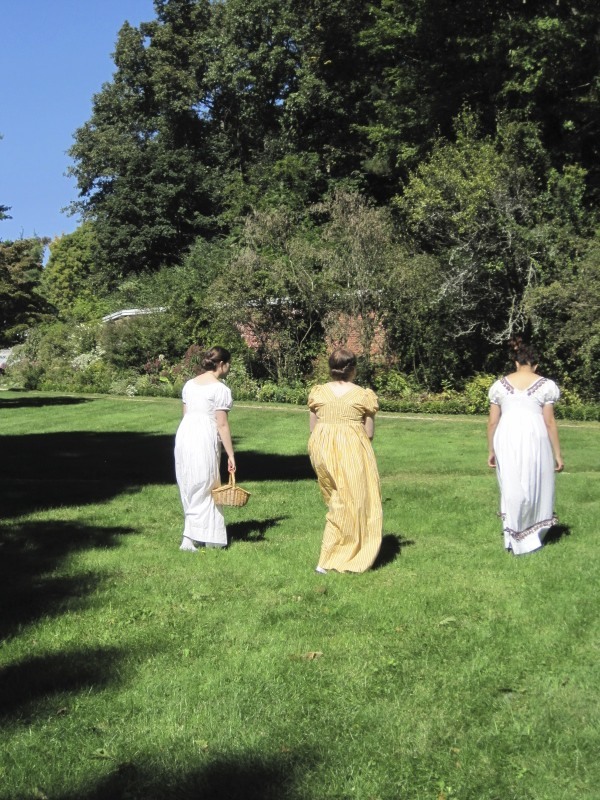 Light, airy, and Grecian… perfect for Regency! 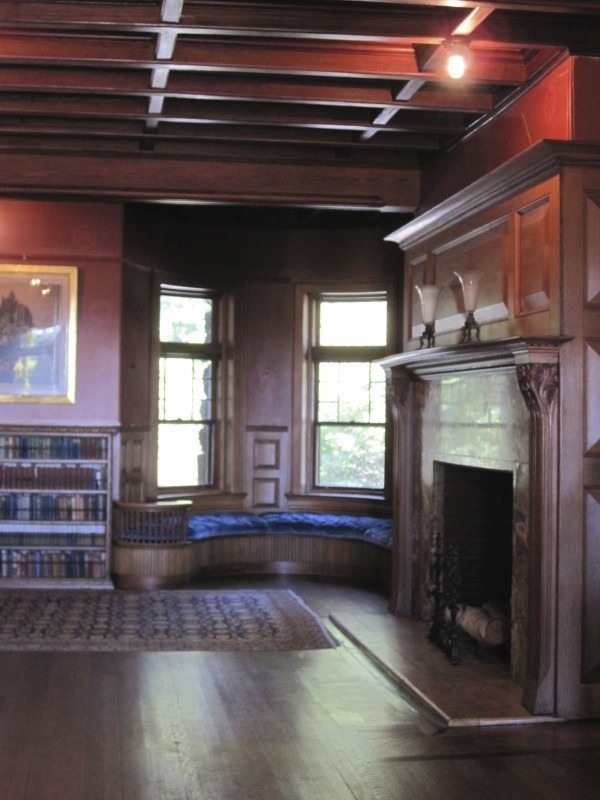 The ballroom of the Lyman Estate house. 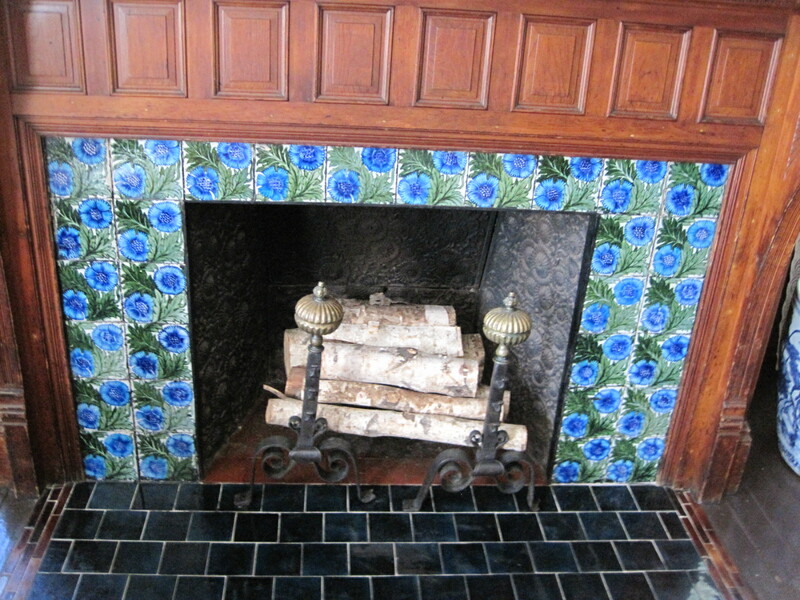 A fireplace at the opposite end of the house. Those tiles are really neat. 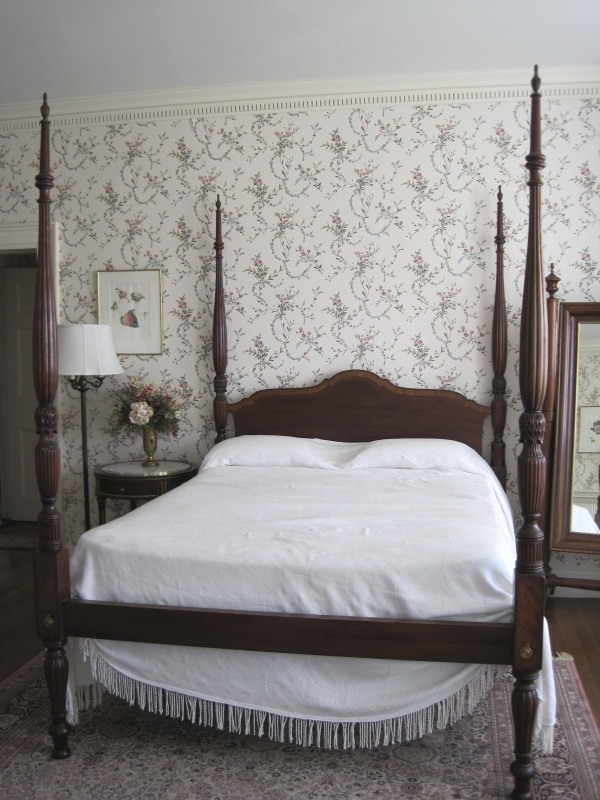 One of the bedrooms upstairs. 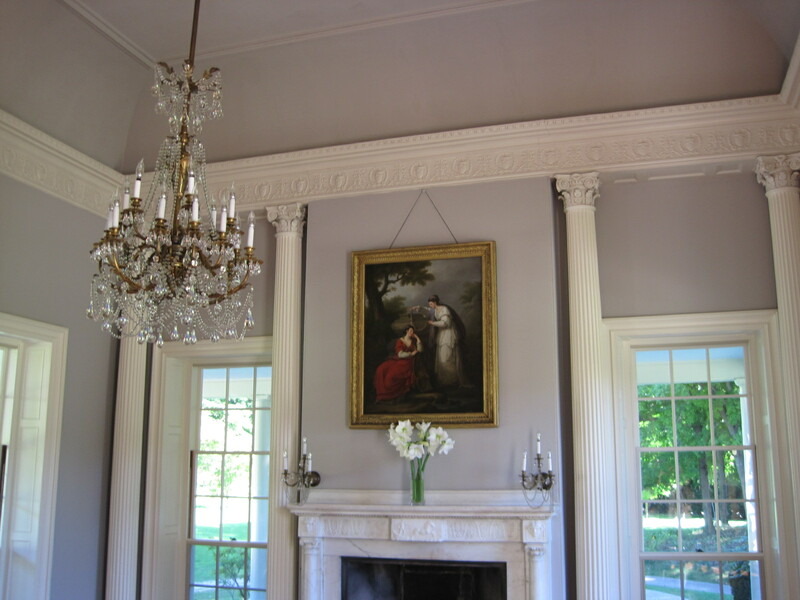 This house is often used for weddings, so I think this is often the bride’s dressing room. 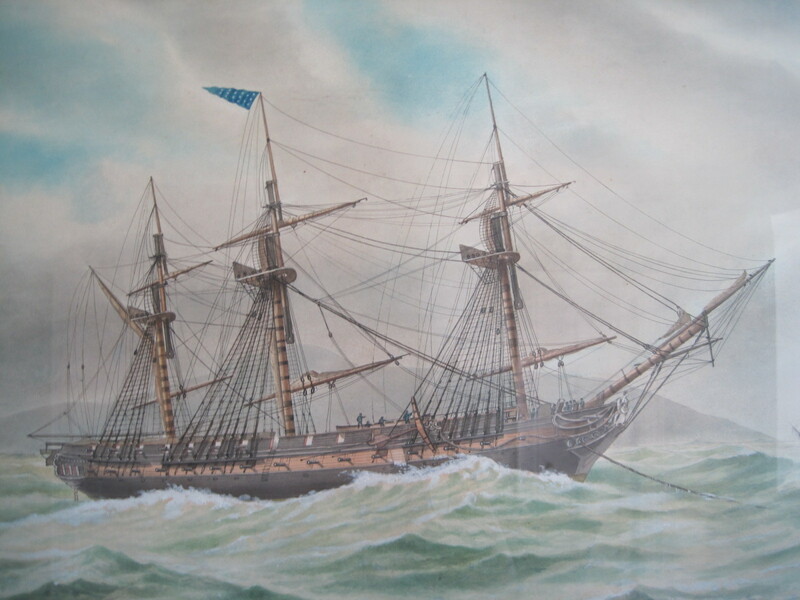 A painting of the USS Constitution! Fitting, considering our summer adventures relating to the Constitution. 1805. Lovely flowers outside the front door. The greenhouses at the estate are open to the public year round. This was where I visited last year for the Regency Holiday Tea. Finding an appropriate picnic spot. Taking a turn about the garden. Isn’t this a super cute picture??? 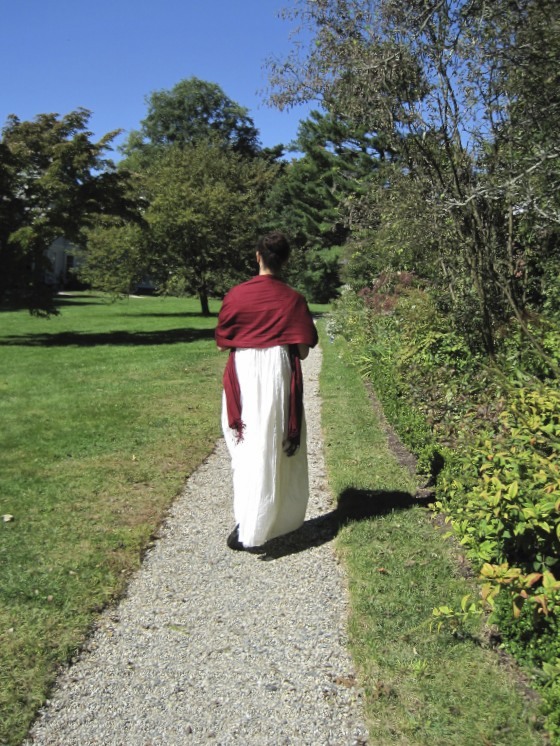 Gallery | This entry was posted in 1810s, 1880s, 19th Century, Galleries, Regency Clothing, Wearing Reproduction Clothing and tagged 1810s, 19th Century, Clothing, Historic Clothing, Picnics, Regency, Women's Clothing. Bookmark the permalink. Looks like a lovely day! That picture of the Lyman ballroom is perfection. I pinned it – I hope you don’t mind! I don’t mind at all! 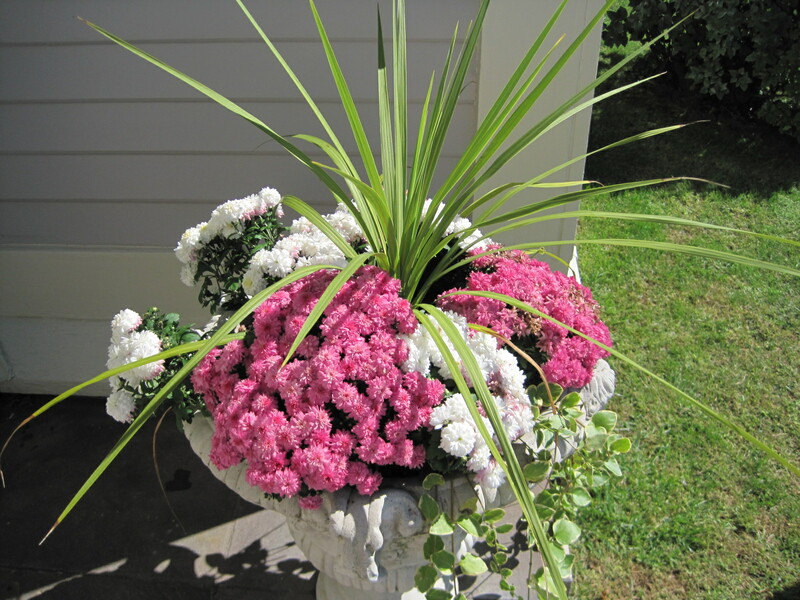 I’m pleased that you enjoyed the post and were inspired to share the image. 🙂 Thanks for commenting! What a gorgeous place for a picnic!